Rep. Steve King Won't Vote For Anything "In The Next 36 Hours"
Sen. Ayotte: "Confident" Deal Will Pass In Senate; Boehner – "Bring It Up For A Vote"
Actor Robert Redford is starring in the critically-acclaimed new movie "All Is Lost," which many could say is a metaphor for the U.S. government. The performer has a lot to say about the situation in Washington right now and says race has a lot to do with the partisan gridlock. CNN's Nischelle Turner reports. "There are other issues there, it's not just racism. I think it's a group of people that are so afraid of change, and they're so narrow minded, that some people when they see change coming get so threatened by change, they get angry, and they get terrorized, and then they get vicious. Those are – I think that's who these people are. They're so afraid of change they're behaving miserably." In part two of the interview, Redford says he hopes for change with a new generation and with women in politics. "I think the future should belong more to women. And young people. And I think the young people today who are just coming into age, give them the reigns. I think they can do better than we have." 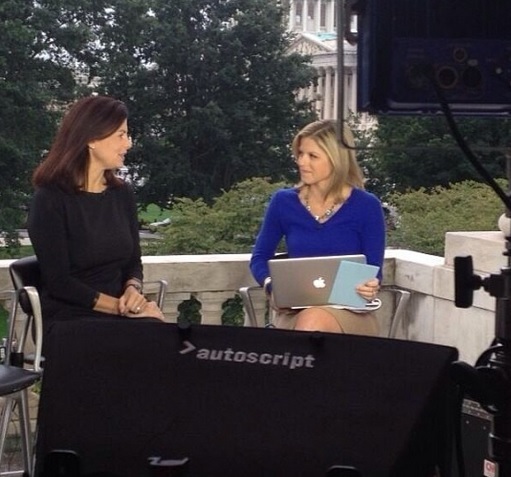 Senator Kelly Ayotte (R-NH) stressed that “we cannot default,” it will be “unacceptable” if no deal is reached by Thursday deadline, and she was never an advocate for defunding Obamacare to fund the government, which was never “a winning strategy.” She told “New Day” Anchor Kate Bolduan that she is “confident” that a deal will pass in the Senate and wants Speaker Boehner to bring it up for a vote in the House.